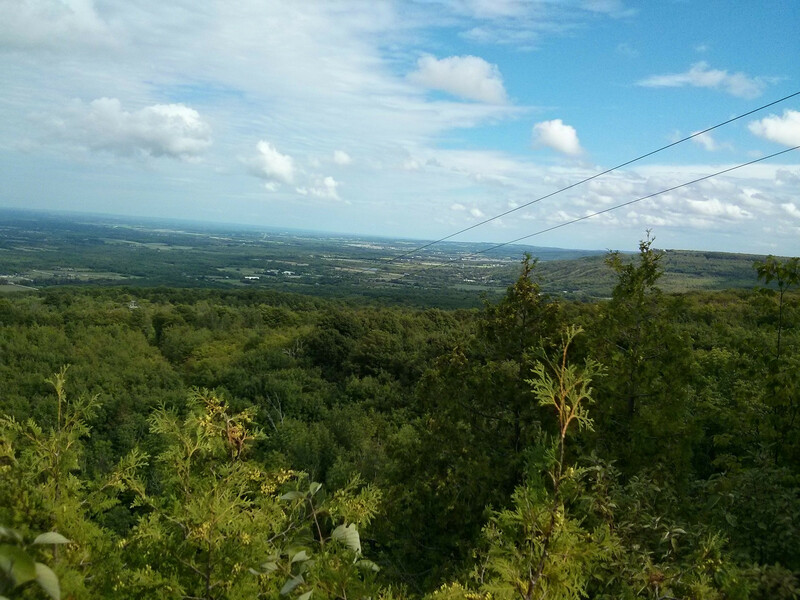 For the past week, I had some relatives visiting Toronto, and I took them to this Eco Adventure Tour at Blue Mountain. From their website, it seems interesting and challenging. We booked the tour at 2:45pm, and arrived there at 2:15pm, just perfectly on time since they require people arrive 30 mins before the tour time for some administrative work. After we signed the waiver, got harnessed, and a brief introduction of everyone, we started the 3 hour tour! The weather was perfect, cloudy, not too hot. The tour consists of five parts. 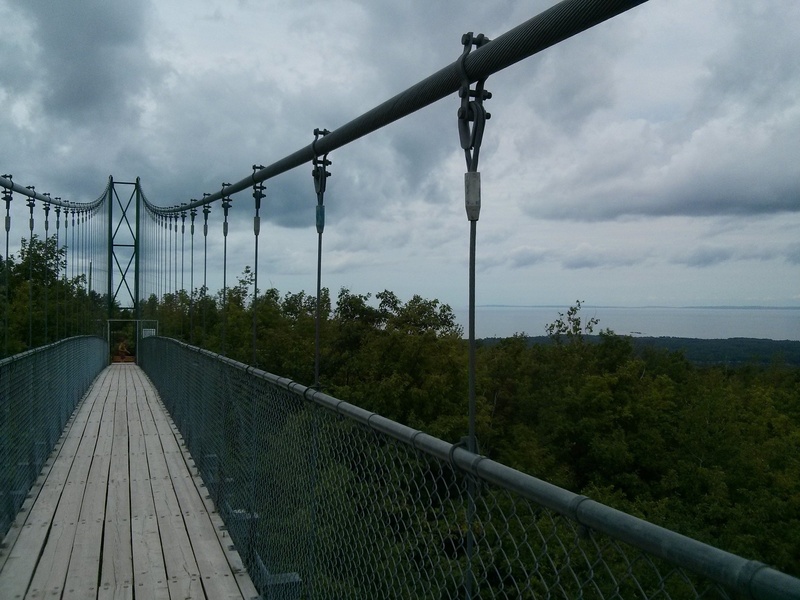 After a short hike, we first visited the suspension bridge, had some historical insights on this longest suspension bridge in Ontario overlooking georigian bay, it was beautiful! Then we had a short ride on I-am-not-sure-what-vehicle to start off our treetop trekking journey. 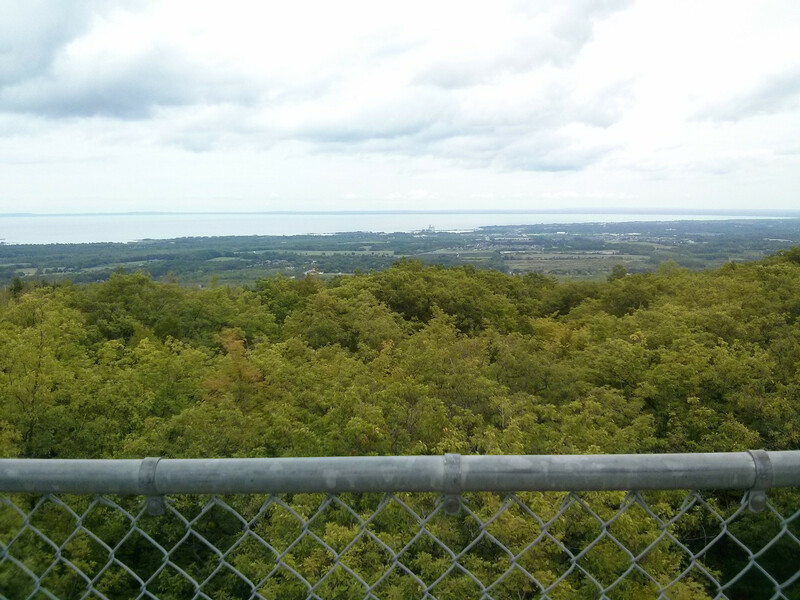 It was a little bit scary at first, highest point of the treetop is 55 feet from the ground; but you’ll get used to the height and the moving trail. 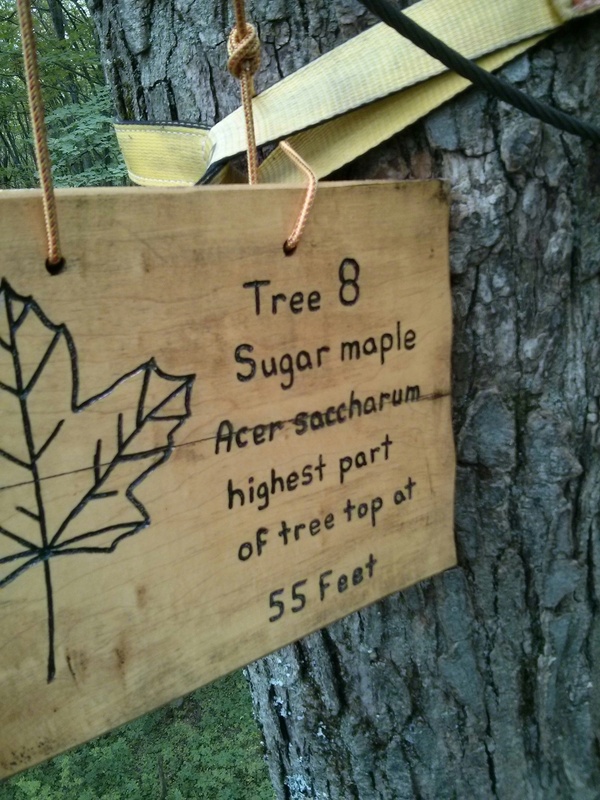 After a good while on treetop, we had our first zipline. It was not too high, and it was not too long. However, when you go down the stairs for take off, it needs a little bit of courage. 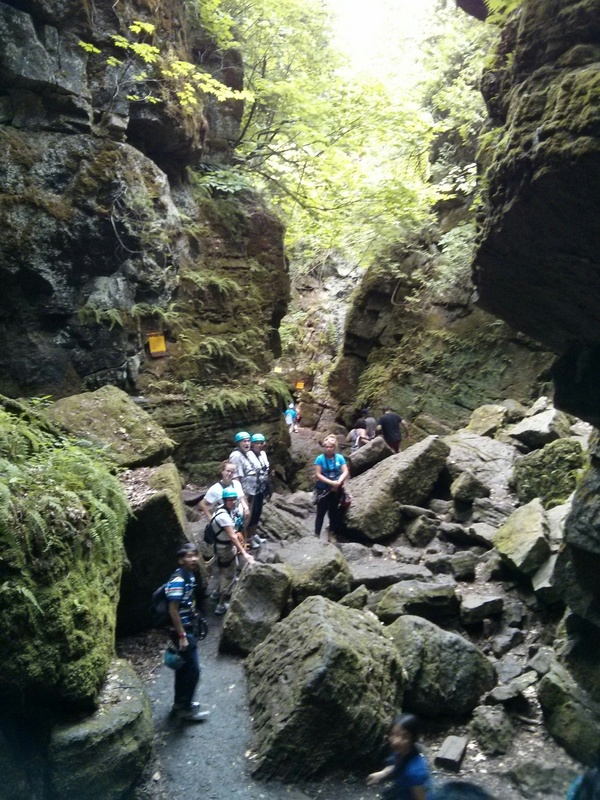 Then we headed down to scenic cave, it’s a natural air conditioned space. Very cool place, hardly getting any sunshine during the year, and has some very rare fern growing on the rocks. And the second zipline brings you back to the tour starting point. 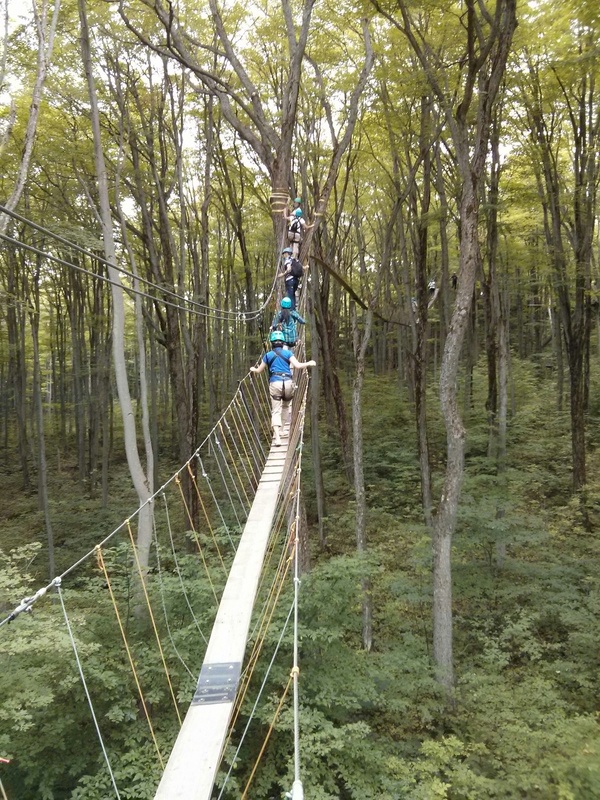 With the first shorter zipline experience, this one is much more fun, and scenery was just amazing. 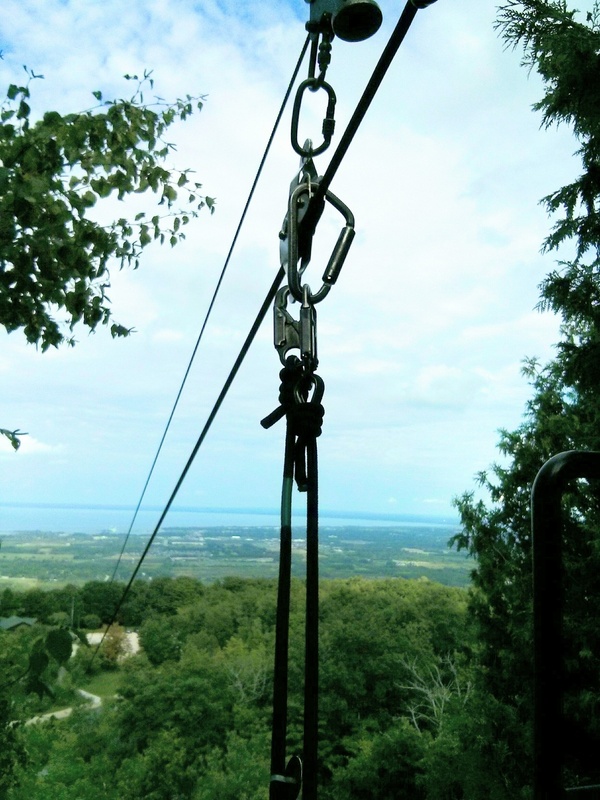 Now, you’ll have the option to experience the longest zipline in Canada with additional $10 CAD. I thought the tour planned it very well: the first zip line was a small potato, nothing fancy, everyone can give a try without too much difficulty. The second zip line has a device that will add fiction to your trolley according to your weight so that it won’t go too fast, but also making sure you’ll not be stuck in the middle. This last twin zip has much fancier trolley system. 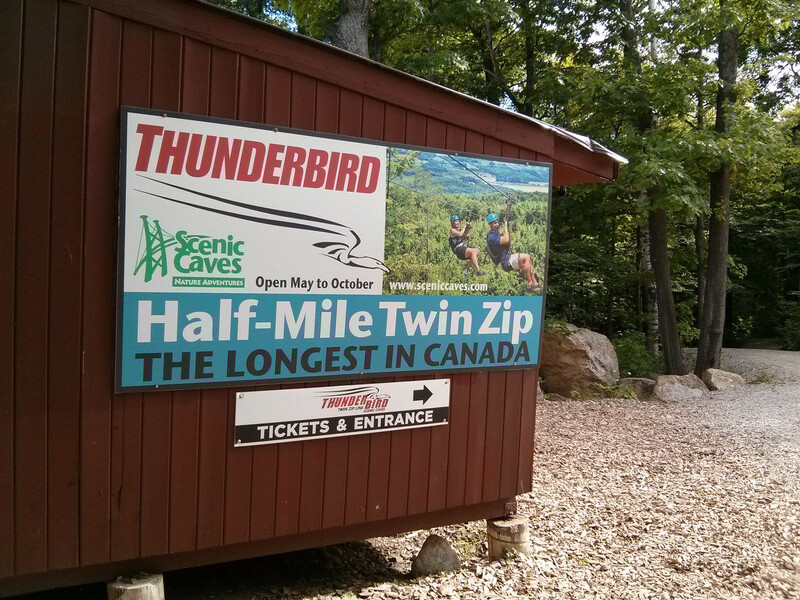 You can control your own speed while enjoying the half mile journey in blue mountain! It could reach as fast as 93km/hour.